A few weeks ago in Berlin, I spoke at re:publica about threats to free speech online such as technical censorship, the use of copyright laws to curtail free speech, liability for user comments, and the right to be forgotten. It’s not always easy to get people interested in talking about the law, so I was happy that people showed up. I framed my talk using the 2009 Internet Manifesto which envisions an Internet on which information can flow freely without undue restrictions on false grounds (see declaration #4). Anyone who uses the Internet to express themselves should know about these threats so that they can protect themselves and their work online. So I've written a summary of the talk here, for anyone who is interested but couldn't attend the event. The wholesale blocking of websites and Internet platforms is often justified on serious grounds, such as the protection of national security. An example is India’s Article 69A of the IT Act, under which the Indian government can order the blocking of a website when it finds it “necessary or expedient” to do so. If the order is not complied with, this is punishable by a maximum of 7 years’ imprisonment plus a fine for the Internet service provider. A decision to block a website cannot be appealed. There is a review process that determines whether or not the blocking decision was taken properly, but, the body conducting the review is a government panel and the only guideline for the review process is Article 69A itself. Imperfect as India's policy may be, it is better than having no policy at all. This is the case in Pakistan, where YouTube has been blocked in the country since September 2012, even though the video that caused this, the Innocence of Muslims, no longer is available on it for copyright reasons. YouTube is just one of the many sites that have been blocked by the Pakistan Telecommunications Authority without any basis in law, decree or even a guideline. Pakistani NGO Bytes for All has challenged the blocking of YouTube before the High Court in Lahore. In addition to requesting an order to unblock the site, they requested that a proper regulatory mechanism be set up to prevent any ad hoc blockings in the future. While there have been moments of hope in the proceedings, the case has yet to reach a final conclusion. There are many more examples that can be mentioned, including in Europe. 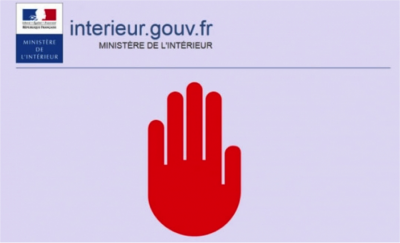 France adopted a decree following the Charlie Hebdo attacks, empowering the Interior Minister to order the blocking of any website containing “terrorist” or “pro-jihad” content. No court order is required. There are no clear numbers available on the number of sites blocked under this new law, but the information available suggests that the decree is being interpreted broadly. This fits in with the wider crackdown on free speech in the country and beyond that is sadly taking place post-Charlie Hebdo. Copyright is a double-edged sword when it comes to free speech. It is intended as an incentive to put valuable ideas and images onto the market, but at the same time it restricts their dissemination. Within the European Union, Italy is a country where copyright laws are being used very effectively to remove online content. In May 2014, Freedom House reported that at least 450 websites had been blocked on copyright grounds. Interestingly, Italy is also the first European country where a telecom regulator, AGCOM, can order hosting providers to take down content for having violated copyright provisions. This decision is taken by an internal administrative panel and if the order is not complied with, AGCOM can have the website in question blocked by the ISP within 72 hours without a court order. The regulations under which AGCOM operates have been referred to the Constitutional Court, which will consider the matter in October 2015. It will be the first Constitutional court in Europe to consider the effect administrative copyright enforcement has on the right to freedom of expression. Copyright restrictions have long been balanced with the concept of “fair use”, a policy provision that allows for the limited use of copyrighted material for news reporting, criticism, education, research and other purposes. 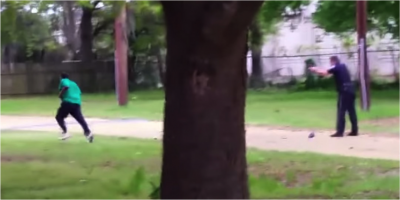 An interesting debate has emerged in the US, however, where reports surfaced in April 2015 that cease and desist letters had been sent out to news outlets worldwide regarding the footage of the shooting of unarmed black man Walter Scott by a police officer. A bystander filmed the incident using his mobile phone and the footage was broadcast worldwide on the news and shared via the Internet. Now, his legal representatives have contacted a number of news outlets, charging a USD 10,000 fee for any further use of the footage. Some are now asking whether something that qualifies as news at one point, at a later time wouldn’t any longer, triggering copyright protection of the footage in question. Who is Liable for Comments? Many online media invite their readers to engage with the news by leaving comments. This enables readers to have their voices heard, adds a different dimension to the news and can create a community of readers around a news outlet. It transforms the media from a one-way flow of communication to a more participatory form of speech which recognises the voice of the reader and allows different viewpoints to be aired. In January 2006, the Estonian news portal Delfi posted a news item on the change a big ferry company was making in its ferry routes. The news hit a nerve with a great number of readers: an avalanche of comments followed the news story, many of which where insulting or threatening to the ferry company’s major shareholder. The lawyers of the shareholder asked Delfi to remove the comments and pay damages to the shareholder. While Delfi removed the comments, it refused to pay damages as it did not consider itself liable for comments made by others. But national courts thought otherwise. The court held Delfi liable for the user comments placed under the article, considering that the portal could not claim protection of the safe harbor provided by the EU's E-Commerce Directive as it should be considered to be a publisher, rather than an ISP. In a much-criticised decision, the European Court of Human Rights upheld the Estonian courts’ reasoning, exemplifying their poor understanding of the realities of online publishing and news reporting. The case was referred to the Grand Chamber (the appellate chamber of the European Court) in February 2014, where MLDI led a 28-party coalition of news outlets and press freedom organisations, including Global Voices, arguing that the Court should consider previous rulings on the issue, the liberal regime applied in the US, and the best practices developed by news outlets worldwide in moderating user comments. The case was heard on 9 July 2014 and a decision is currently pending. European media widely covered the EU Court of Justice's ruling the case of Google Spain SL and Google Inc. v Agencia Española de Protección de Datos (AEPD) and Mario Costeja González in which the plaintiff argued that search engine activity amounted to the processing of personal data and that a search engine’s operator is considered a “data controller” or the party responsible for processing personal data in that context. An intriguing feature of the March 2014 decision is that the Court did not once refer to the right to freedom of expression. While the judgment emphasized that the EU Data Protection Directive should be interpreted in light of the fundamental rights listed in the EU Charter (which includes the right to freedom of expression in Article 11), it merely referred to the right to privacy and right to protection of personal data. Only in passing was reference made to the impact the removal of links from search results could have on the interest (not right) of internet users in accessing information via search engines. Information does not get removed from the Internet based on this decision, but it does get de-indexed by the search engine. So if the information still exists and is available, what is the problem? First, it infringes upon an essential component of the right to freedom of expression, namely the right to access the information and ideas disseminated by others. Second, there is an enormous lack of transparency on what gets de-indexed and why. The latest numbers indicate that Google de-indexed around 307,000 links since the March 2014 decision. But how it came to the decision to do so in these individual cases is unclear. While Google has provided some more information on the process, the criteria applied in its decision making, are broad and can be interpreted in many ways. There is some light on the horizon, however, with some national courts giving a restrictive reading of the CJEU judgement. One example is the Netherlands, where a court recently found that the Google Spain ruling is not applicable to news stories. Why is it important to look at all these examples of repression of speech online? The short answer is that knowledge is power. If we want the Internet to remain a place where information and ideas can be shared freely, it is important to know what obstacles you may encounter in doing so. This allows you to come up with creative solutions for dealing with them. Is your website blocked in your jurisdiction? Set up an IP proxy or find someone to set up a mirror site for you. Is your content de-indexed because someone made a claim to the right to be forgotten? Let the world know: write, tweet and Facebook about it to make sure your story gets out regardless. It is good to think these things through beforehand. If you have something important to say, make sure you have a plan for defending your words.